W2-2Z RM2-2Z locating bearing track rollers with "W" profile. W2 RM2 W2-2Z RM2-2Z locating bearing track rollers with "W" profile. • W (RM) Guide Wheels are the main components of the Linear Motion system, they can be widely used in the industrial robot, cutting machine, motion track, production flow and so on. • The surface of outer ring is the "W" profile formed by the two "V" with an angle of 90 degrees. The internal or external side face can be matched separately with the concave or protrudable track that both have a "V' profile with the angle of 90 degrees, and also the internal side face can be matched well with the cylindrical track. 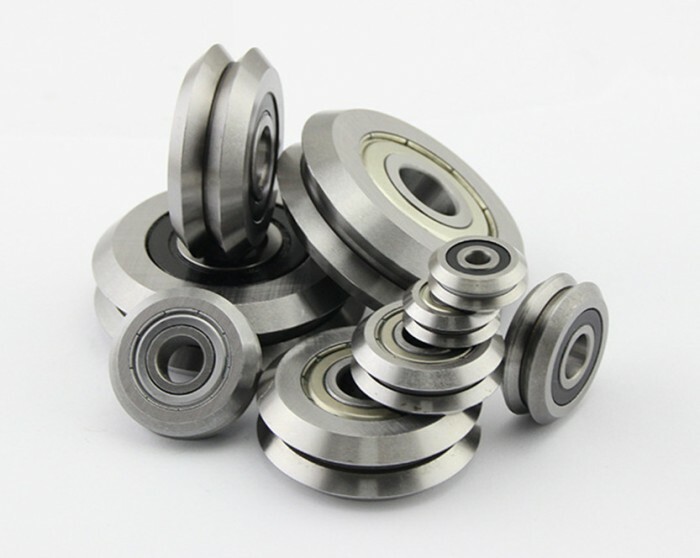 • Wheels feature the internal design of double row angular contact ball bearing and a thick-walled outer ring, so the wheels can accommodate higher loads. • Wheels are made of the high-quality bearing steel, processed by heat treatment and precision grind, and are filled with a long service life, high-grade and multi-purposes grease. Wheels mantle the metal shield or rubber seal to prevent the dust. URU also can provide the wheels with the concentric or eccentric bushings, as well as the wheels made from the corrosion resistance stainless steel 440C.